MODEL INFORMATION: GreenMech > Arborist 19-28 Diesel - 7.5"
Arborist 19-28 Diesel - 7.5"
Its ability to drag in the most difficult material with minimal trimming gets the job done quicker and more cost effectively than any other. A slightly lower infeed hopper at 580mm (23inch) takes it into the H&SE's B category requiring a 'TOP & SIDE' safety bar, eliminating the need for the bottom bar that causes so many nuisance roller stops. 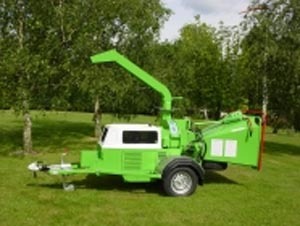 I sold my chipper, tractor and winch in a week on eArborist, great service.